Jul 24, 2017 @ 11:55 AM — by Sharon B. Mateja, D.D.S. A single twisted tooth can tarnish an otherwise beautiful smile. For those who are unhappy with the appearance of a twisted tooth, cosmetic dentistry treatments can address the appearance of twisted teeth and improve the aesthetics of the smile. 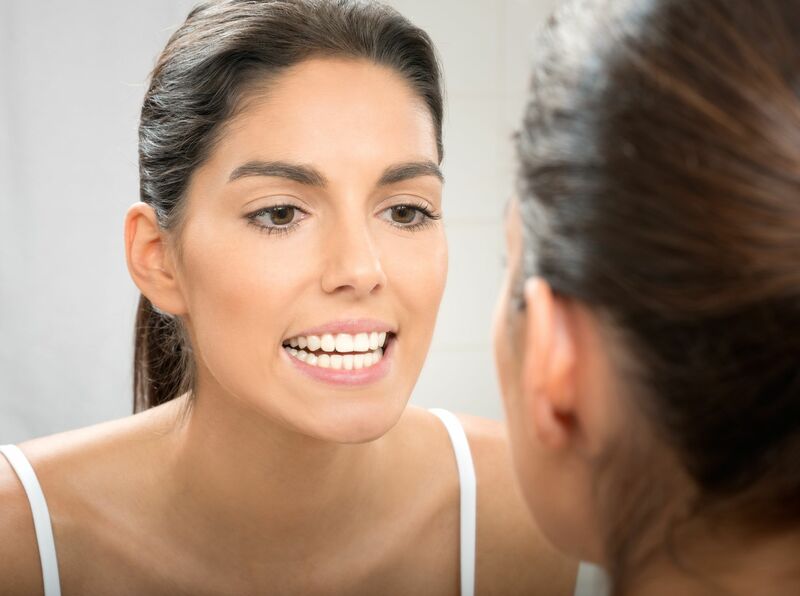 If a single twisted tooth is causing you to feel self-conscious about your smile, treatment for a twisted tooth from Rancho Cucamonga, CA dentist Sharon B. Mateja may be right for you. Let's take a closer look at some of these treatments and how they may benefit you. What Causes a Twisted Tooth? A twisted tooth can be more than just an aesthetic issue. A twisted tooth can impact the alignment of the teeth and jaws when chewing. This can lead to uneven wearing of the enamel and cause strain on the jaw joint and muscles. A twisted tooth can also impact oral health. Twisted teeth often overlap surrounding teeth, making it difficult to properly clean the teeth. Plaque and bacteria are more likely to collect in these overlapping areas, increasing the risk of gum disease and tooth decay. Finally, a twisted tooth can impact self-esteem, causing a person to feel self-conscious when smiling or talking. Treating a twisted tooth can help restore confidence and improve oral health. Braces: Braces are one of the most effective methods for treating mild to severely twisted teeth. With braces, metal brackets are temporarily bonded to the teeth. These brackets are connected by wires, and the braces are strategically tightened over time to gently force the teeth into proper alignment. Once treatment is complete, any twisted teeth will be straightened, improving the overall appearance of the smile. Invisalign®: Those who require orthodontic treatment for a twisted tooth but would like a more discreet treatment option than traditional braces may benefit from Invisalign®. Invisalign® avoids the need for metal braces through the use of transparent aligner trays. Because Invisalign® trays are clear, most people will not be able to tell you're undergoing orthodontic treatment. Don't let a twisted tooth keep you from sharing your smile. For more information about treatment options for a twisted tooth, please schedule a consultation with Dr. Mateja today.